With a new album arriving Monday via Jay Z’s new music-streaming company Tidal, Prince is going to throw an old-fashion three-night marathon party at his Paisley Park studio complex in Chanhassen this weekend. News of the “international dance party” arrived this morning via Prince’s official Twitter account, @Prince3EG. The tweet includes a virtual poster for the party that lists a 9:30 p.m. start time and a $40 cover Friday through Sunday at his compound. 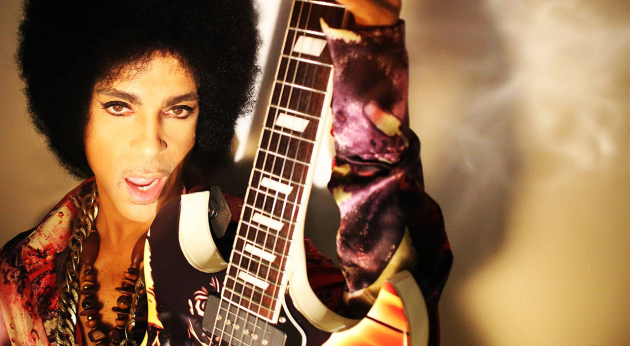 “Live music” is all that’s promised, not necessarily a performance Prince himself. Usually when tickets are priced that much, though, it means the little man has big plans. The ad (posted below) also states that the reason for the event is “2 celebrate the global release of Prince’s new music.” Titled “HITNRUN,” the album was co-produced with Joshua Welton, who also helped with one of Prince’s 2014 albums, “Art Official Age,” and is the husband of drummer Hannah Welton from Prince’s band 3rdEyeGirl. “After one meeting, it was obvious that Jay Z and the team he has assembled at TIDAL recognize and applaud the effort that real musicians put in2 their craft 2 achieve the very best they can at this pivotal time in the music industry. TIDAL have honored Us with a non-restrictive arrangement that once again allows Us to continue making art in the fashion We've grown accustomed 2 and We're Extremely grateful 4 their generous support." Paisley Park is about a 25-minute drive from downtown Minneapolis at 7847 Audubon Rd. (Hwy. 5) in Chanhassen. Events there are always alcohol- and cell-phone-free, and tickets are first-come, first-served at the door.